• Crafted in luxury French velvet style durable polyester fabric to create a wing back chair of exceptional beauty. 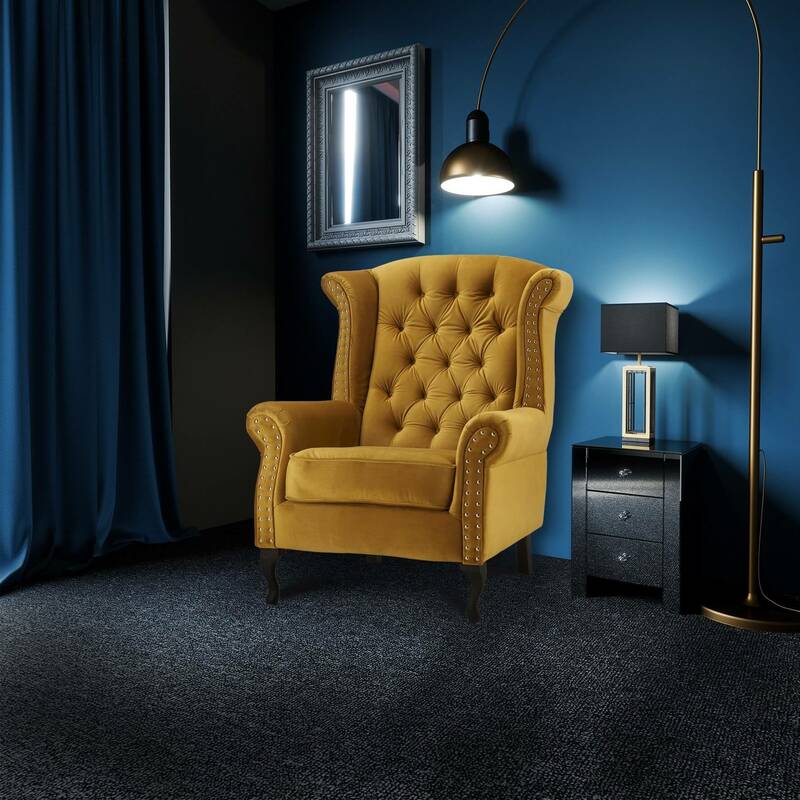 A variant from the stunning wingback chair collection, this luxurious velvet mustard gold wingback chair with buttons will be a beautiful addition to any home. Fully upholstered in fashionable soft brushed velvet style durable polyester fabric, gently curving scroll arms and stylish dark hardwood feet will add untamed attitude to any space. This is the perfect piece of furniture for you to curl up in after a long day’s work, to simply unwind and relax while you read your favourite novel. You can also find different variations of this chair - many colours to chose from and version without buttons available on separate listings.